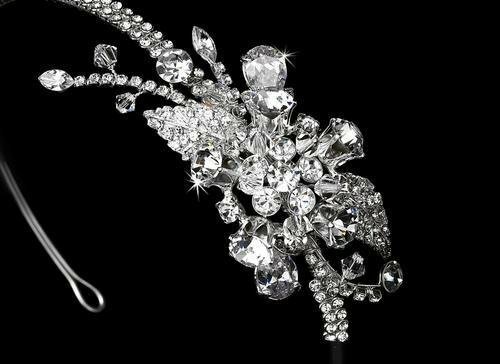 A symphony of sparkling Swarovski crystals, rhinestones, and silver plated leaf details creates the dazzling side ornament in this rhinestone encrusted bridal headband. 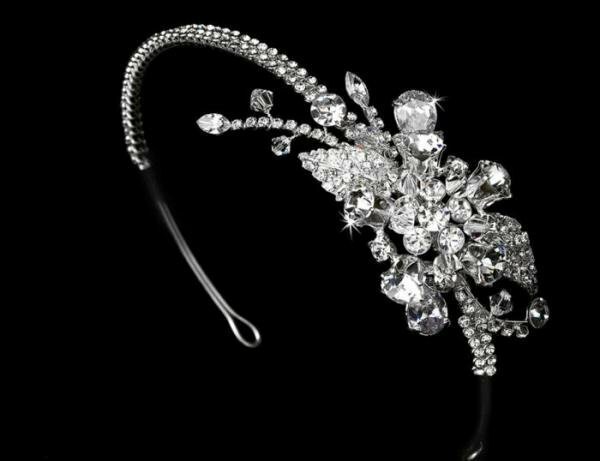 A stunning addition to any wedding hairstyle. The ornament measures 7.5 cm wide and 4 cm tall, and the headband ends with two loops that allow you to fasten it securely in your hair with bobby pins.